Although assisting suicide is only legal for a small fraction of the world’s population, advocates are in high gear promoting this dangerous legislation in several states. Currently, doctor-prescribed suicide is legal in only two states–Oregon and Washington–and may have some legal protection in the state of Montana, due to a court decision. The assisting-suicide advocacy groups, Compassion & Choices and the Death with Dignity National Center, have targeted several states this legislative session including Vermont, New Jersey, Connecticut, Montana, and Kansas. The groups promote essentially the same language that governs both Oregon and Washington. The language, developed initially for Oregon, purports to “safeguard” the practice and restrict it to the terminally ill and the competent. The most imminent doctor-prescribed suicide bills are before the legislatures in Vermont and New Jersey. To date, not one state has legalized doctor prescribed death through a legislature, only through ballot initiatives. Vermont has been a perennial target of this kind of legislation. Every previous attempt has failed, in large measure thanks to the combined efforts of the disability rights community, Vermont Right to Life, and the opposition of the Vermont Medical Association. This year appears to be different. Vermont’s governor, Peter Shumlin, has vowed to get an assisting-suicide bill passed during his term as governor. While the Vermont Senate dramatically modified S. 77 (restricting it to limiting a doctor’s liability in prescribing potentially lethal medication), the House is expected to restore the Oregon-style doctor-prescribed death bill. 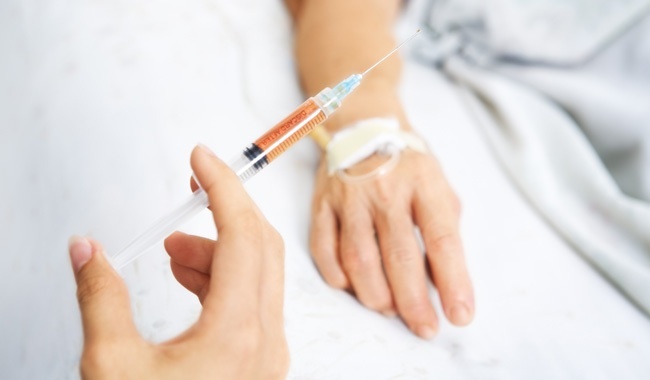 In spite of years of advocacy in the state, a recent poll finds that 67% of Vermonters do not support Oregon-style doctor-assisted suicide legislation. Notwithstanding opposition from nearly every corner, this bill could be voted on at any time. In nearby New Jersey, A3328 would establish another Oregon-style law. The bill was approved by the Assembly health committee, and more hearings are expected this spring. If passed by the New Jersey legislature, the Act, as now written, would have to be submitted to Governor Chris Christie for his approval or veto. To override a veto a 2/3 vote of each house of the state legislation would be required. As now written the legislation would then be placed on the ballot for voters’ approval or rejection at the next general election. However, the bill’s sponsor, Assemblyman John Burzichelli, has indicated that he may seek to amend the bill so that it does not require voter approval. Also this legislative session, the Montana state senate voted 27–23 to defeat H.B. 505 which would have definitively prevented doctors from assisting suicide in the state. The bill was first introduced in February as a response to a Montana Supreme Court decision from 2009 that interpreted existing Montana law to allow doctors to raise a defense of consent if charged with assisting suicide at a criminal or civil trial. The court stopped short of making assisting suicide a constitutional right in the state. With the rejection of H.B. 505, the situation in Montana is unchanged. Several measures appear to have been defeated for this term, one of which shows where the pro-doctor-prescribed-death lobby wants to head. In Connecticut, HB 6645 failed to get out of committee. In Kansas, HB 2108 also appears to be dead this term. The “Kansas Death with Dignity Act” was virtually identical to the Washington and Oregon doctor-prescribed suicide laws with one major exception: the definition of “terminal disease” included no predicted life expectancy. This change would significantly expand the potential victims of doctor-prescribed suicide, including alcoholics and diabetics. So while you might not live in Vermont and New Jersey, if they were to join the ranks of Oregon and Washington, and perhaps a few more states next year, there is the real risk that the practice would spread to yet more states. Moreover, faced with a growing number of states legalizing active euthanasia, the Supreme Court might well reconsider whether there is a federal Constitutional right to assist suicide. And that would leave us all at risk.